Janette Manrara, 34, and Aljaž Škorjanec, 28, announced that they have had to pull out of tonight’s scheduled performance on the Remembering Fred tour in Glasgow due to an incident in a nearby building. The Strictly Come Dancing favourites took to Instagram to inform ticket holders, with the Miami-born beauty saying: “Glasgow, we are deeply sorry that due to a fire occurring in the building next door to our venue, @RememberingTour company are unable to perform for you tonight! Aljaž also told his 202,000 followers: “We are very sorry that tonight’s performance in Glasgow has been cancelled due to a fire next to the venue. The blaze broke out on March 22, devastating a nightclub near to the Glasgow Pavilion Theatre. Over 120 firefighters attended the scene to prevent the fire from spreading to the 114-year-old Pavilion. At the time, the theatre revealed that it would be closed for at least two months, calling the incident “the saddest day since the flood in 1992”. “After waiting to hear all day, we have just been advised by Glasgow City Council Building Control that we will be denied access to the theatre for around two months,” a statement said. “After which, we will then be allowed in to ascertain the damage caused by the fire. Reporting that demolition of surrounding buildings which had been left unsafe following the blaze would start that day, they then confirmed that they were offering refunds on certain show which could not be rescheduled. In addition to Jukebox Memories and The Real Thing and Odyssey Live, Remembering Fred was also listed as one of the cancelled shows which fans would get refunded for. Janette and Aljaž’s all-singing, all-dancing show pays tribute to the great Fred Astaire with a dazzling cast of vocalists and dancers. Including a medley of his hit songs and sprinkled with references to some of his most iconic movies, the production “celebrates one of the true screen legends of our time”. With a busy schedule of dates, the run comes to a close on May 28 at Portsmouth Guildhall. 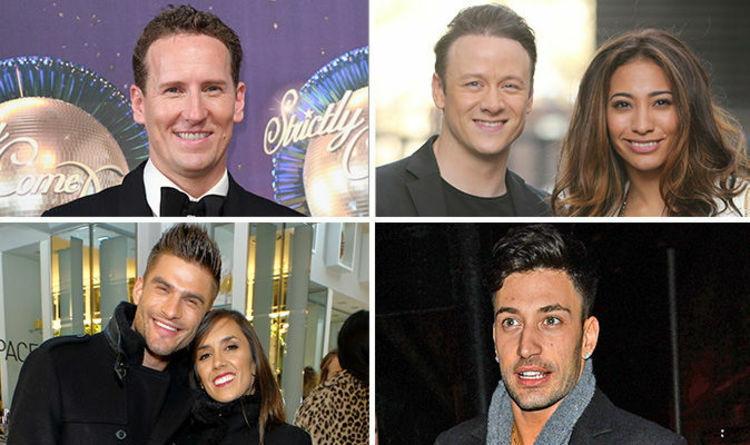 When they brought the show to the London Palladium earlier this month, the couple were supported by some of their fellow Strictly stars including Gemma Atkinson and her boyfriend Gorka Marquez and Giovanni Pernice. The stars, along with Giovanni’s girlfriend Jess Wright, posed for a cute picture together as they cuddled up to their respective partners.